Roman armour was the last line of defense against the enemy during battle. 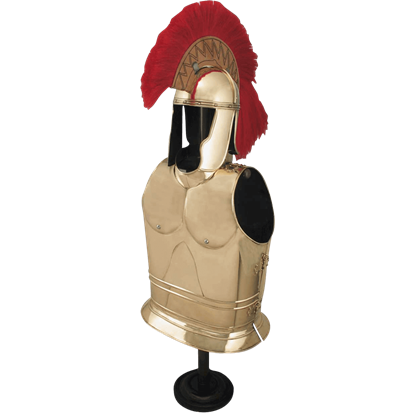 We carry many pieces of historical Roman armour. 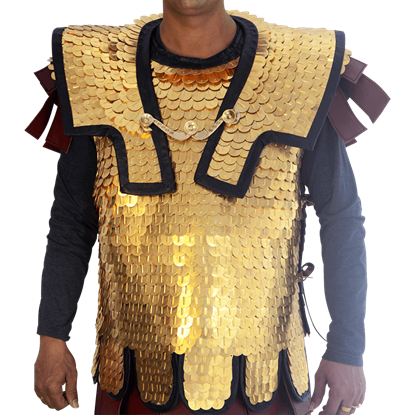 We have Roman body armour such as Lorica Segmenta, scale armour, and muscle armour. Loricas were used by the Roman Empire between 2nd and 3rd century AD, consisting of metal strips that wrapped around the front and back of a Roman soldier. 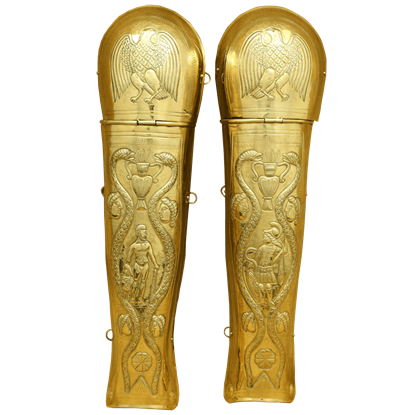 For leg protection, we carry Roman greaves and gladiator greaves. 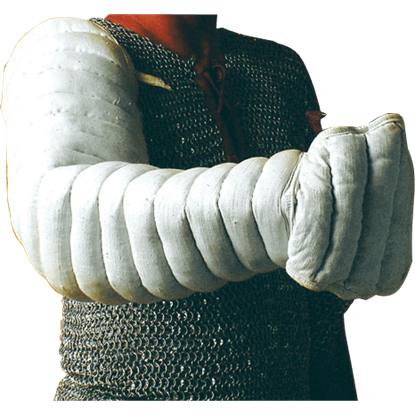 Arm protection includes Roman bracers and gladiator arm guards. 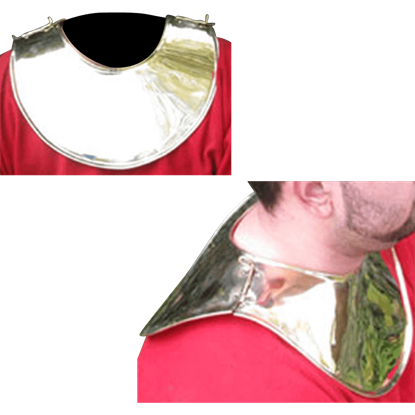 We are your online resource for the historical reenactment armour that will transform you into a centurion or legionnaire. These pieces come in leather armour and plate armour designs. Send your enemies fleeing when you show your strength in the Black Steel Muscle Cuirass. 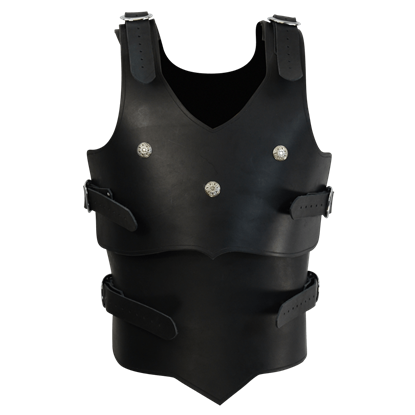 Made of 20 gauge steel, this body armour is inspired by the muscle cuirasses worn by the warriors and rulers of ancient Rome and Greece. 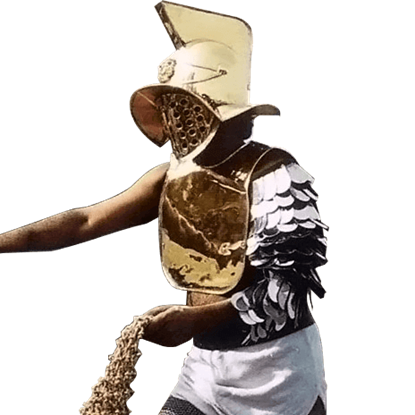 The armor a gladiator wore often depended on their type, although a more common piece of gladiatorial armor was this Brass Gladiator Scaled Arm Guard. This protector offers the defense of metal armor in a rather lightweight package. A serious Greek or Roman warrior needs a full set of protection. 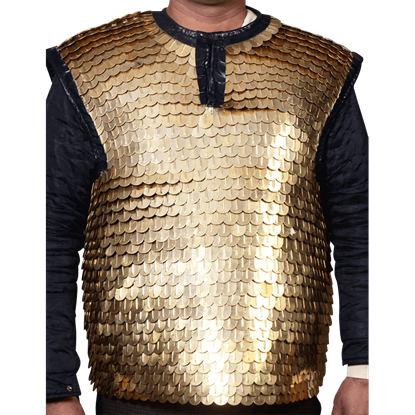 This Brass Lorica Squamata is the perfect start to your armored appearance, giving you an added layer of defense between your body and the implements of your enemy. In Ancient Rome, members of the Praetorian Guard were often immediately recognizable. Not only was their position one of power, but they were a noble corps, wearing the finest armor, including pieces like these Brass Praetorian Greaves. This attractive harness provides full frontal and rear torso protection. 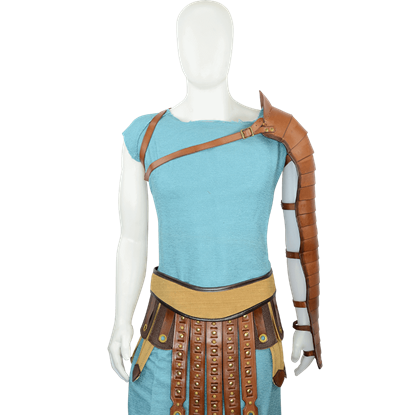 Our Centurion Armour has a classic Roman Style making this perfect for Roman soldiers, gladiators, centurions, and even praetorian guards! Early armor of Rome was influenced heavily by earlier Greek armour, and it would not be unusual to see early Roman armies wearing armour and helmets similar to those worn by the soldiers of Greece and Gaul. Not all gladiators entered into the arena with limited armor. 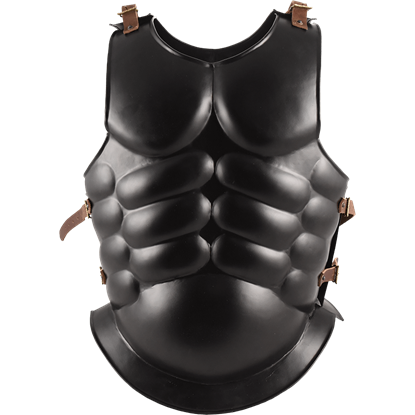 Some, like the secutor gladiator, would have worn heavy armor like this Gladiator Front and Back Plate, all with the intention of making the fight more entertaining. 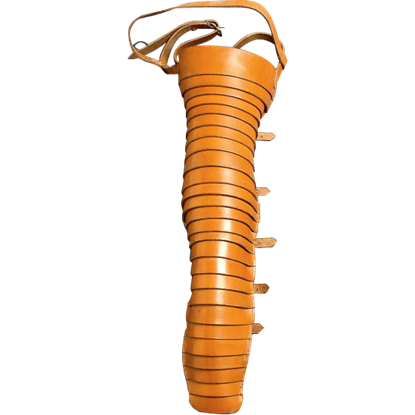 Some gladiators wore very little armor, choosing instead to go into the arena carrying their given weapon, limited clothing, and this Gladiator Leather Segmentata Arm Guard, preferring to rely on offense to grant them victory. 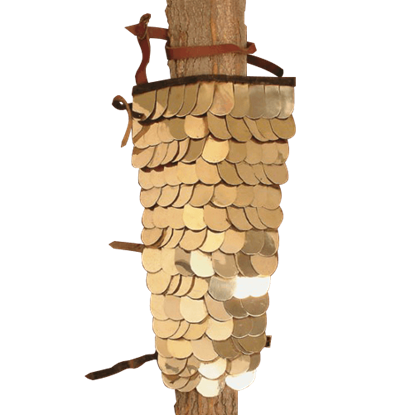 Some gladiators wore very little armor, choosing instead to go into the arena carrying their given weapon, limited clothing, and this Gladiator Leather Segmentata Left Arm Guard, preferring to rely on offense to grant them victory. Not all armor is made of leather and metal. The gladiators, particularly, were known for wearing cloth armor, like this Gladiator Padded Arm Guard, to provide a degree of protection while still preserving the warriors agility. Delivered on time and exactly how it looks in the picture. Could not be more pleased. Belt was of great quality too.